LG Electronics held the 'LG G5 Day', a promotional event for their lastest smartphone at the Dodger Stadium in Los Angeles on May 15. LG Electronics has set up a exhibit booth for baseball fans to experience G5 and gave away G5, LG 360 cam and LA Dodgers VIP ticket as a sweepstakes prize during a promotional event. 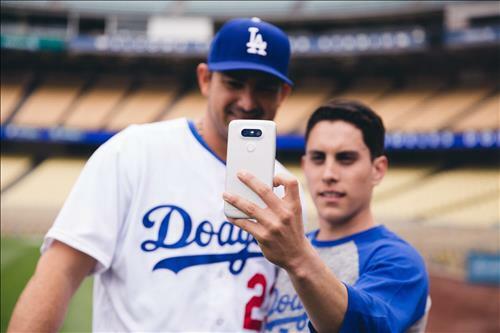 LG Electronics has also unveiled the video 'G5 and Friends "featuring the LA Dodgers first baseman, Adrian Gonzalez and Dodgers fans enjoying baseball game with G5 peripherals on the electronic scoreboard at the stadium.